Regrettably we will no longer be able to livestream our previously advertised Royal Ballet in class event on 17 April. The class will still take place for a live audience as part of our Insights series. 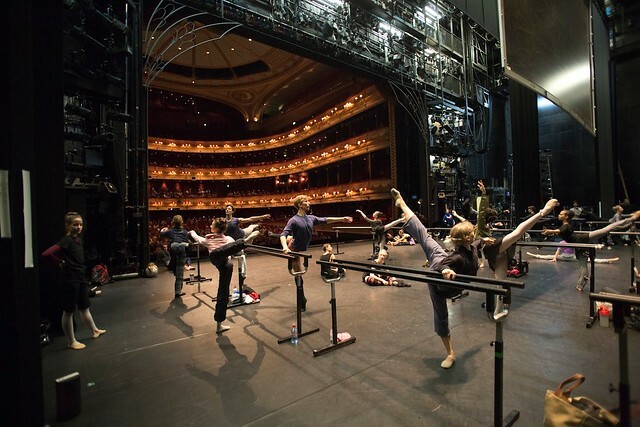 There is a small number of tickets available for Insights: The Royal Ballet live in class if you are able to attend in person. So happy to watch it!!!! Thanks a lot! Can't wait to see what is suggested for us! Lovely to see them all & feel the atmosphere. The breath is being well acccentuated! Why does everything have to involve Mrs Bussell? will it be possible to watch it offline after the live stream? Gosh and I thought my classes were full! I'm really sorry to miss it. It wouldn't have been too much to have both this class and WBDay class. I'm sure you'll make it up for us on WBDay. I love the ballet class of world ballet day in 2014. I would love to have the music of that class, sometimes the reporter blocks the music and you can´t follow the class properly. Thank you for giving the audience the opportunity to do the class with this great dancers and teachers!